Classic military feel with the power of Wolf! These Wolf® Military Classic .223 Remington® Rounds are a great value without sacrificing reliability. The case is polymer-coated steel and great to stock up your supply. So, hit the range, shoot and train more. 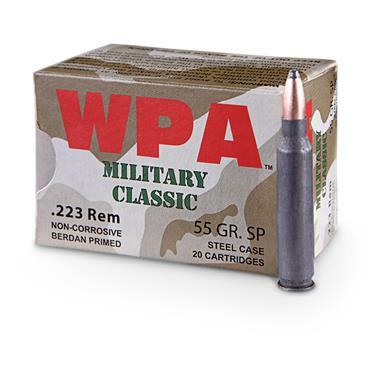 Wolf, WPA, Military Classic, .223 Remington, SP, 55 Grain, 240 Rounds is rated 4.2 out of 5 by 23. Rated 5 out of 5 by ray 1 from Great deal Been a Customer for more than 15 yrs. Always great service, product and price. Rated 4 out of 5 by spidersdad from good value I had a friend that wanted to have me teach his kids some rifle safety so I needed some inexpensive rounds. Orderer 300 which arrived very fast. we went through all 300 the day of the lesson and had 2 failure to feed towards the end which probably had more to do with the gun becoming dirty than ammo. It is also to rate accuracy as the 2 shooters were new to firearms but by the end they were putting in 4 inch groups at 50 yards consistently. the steel brass made recovery less important although they were picked up this day to teach the kids range etiquette.Overall a good value for this type of activity and I will be ordering several hundred more just to have around. Rated 5 out of 5 by woody from Great price. Fast delivery.Shoots good.Used for cayote hunting knockthem dead. Rated 1 out of 5 by Dave1955 from Low powered rounds I had a problem with this ammo. This ammo is under powered enough that it would not cycle properly. It would eject the spent casing most of the time but would not travel far enough to pick up the next round. It turned my rifle into a single shot. 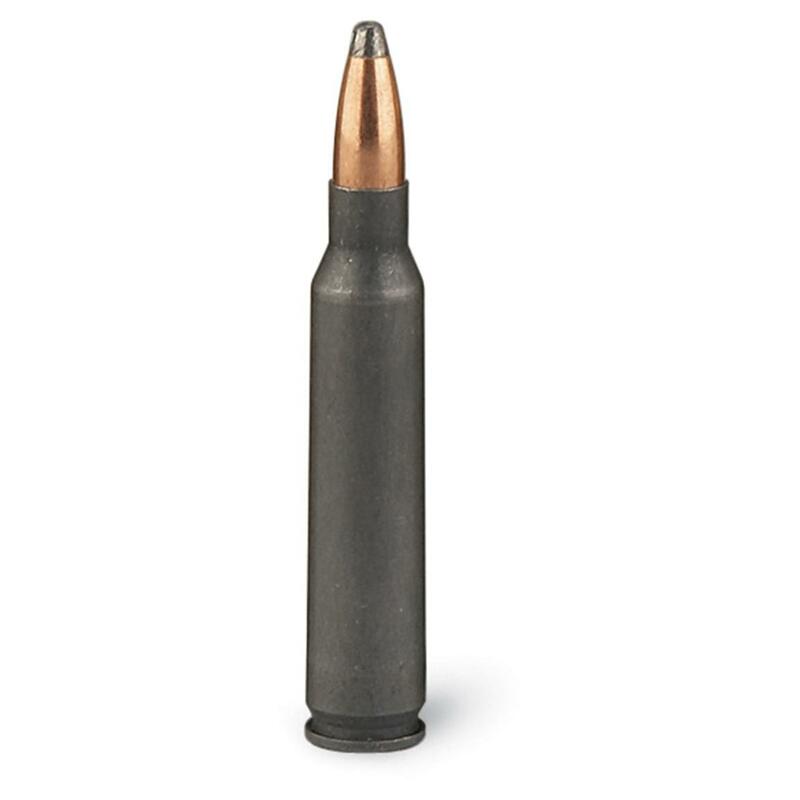 This ammo may work fine in a .223 rifle. My rifle is a multi cal and has a buffer group to handle the hotter 5.56 round. My advice would be to try a small quantity of this round before buying it in bulk. Rated 5 out of 5 by Koda Bear from Great price, great deal. Price was great & low for shooting at range. No problems with ammo. Made in Switzerland for the Swiss Army! Accuracy and reliability shot after shot!